I’m a late bloomer to the cauliflower rice phenomenon. I almost always hate things disguised to be other things. (I’m looking at you spaghetti squash). 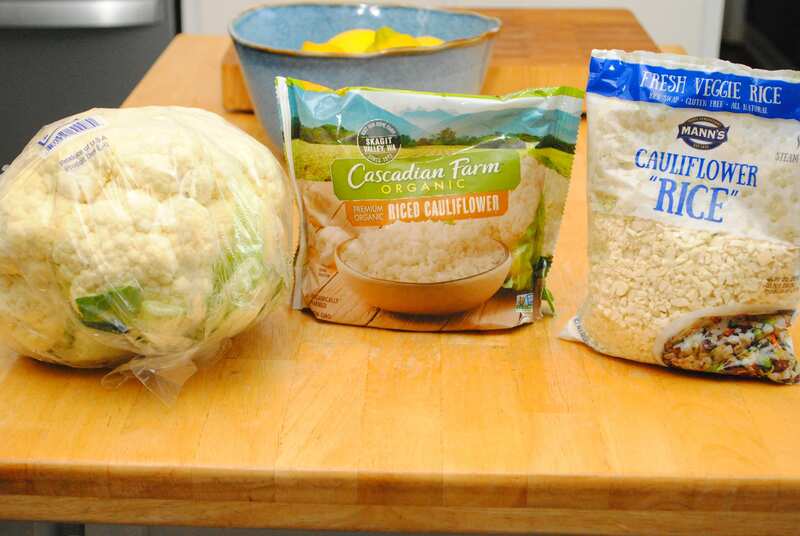 I really love cauliflower and decided to finally try some at home and loved it. I instantly started looking for ways to jazz it up and serve it with all sort of things. 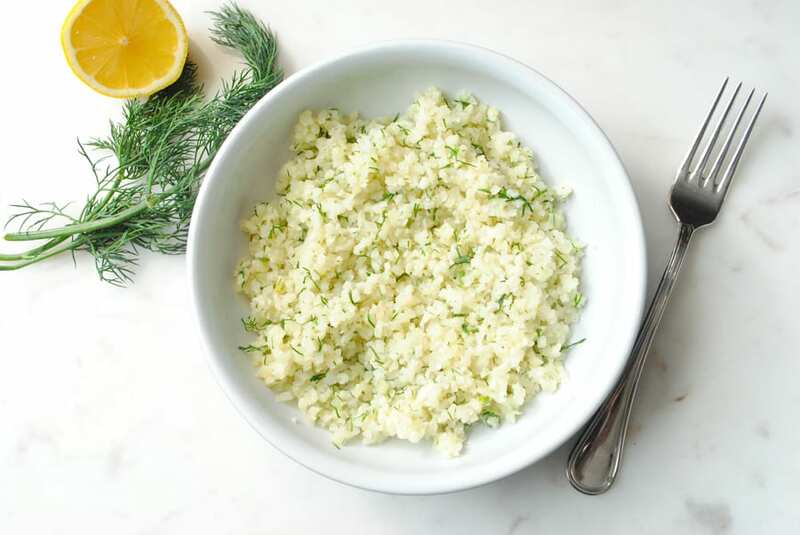 Dill & Lemon Cauliflower Rice was born. 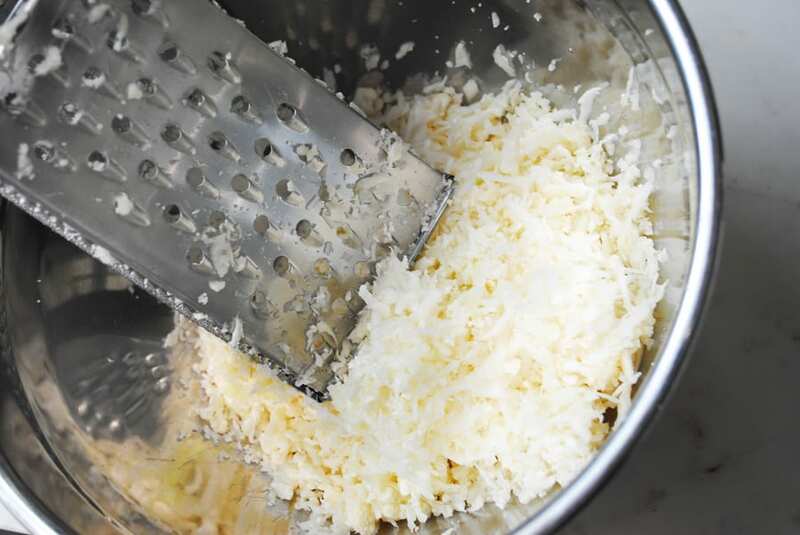 All you need is a box grater or food processor. I just took the whole head of cauliflower and started grating it into a large bowl. 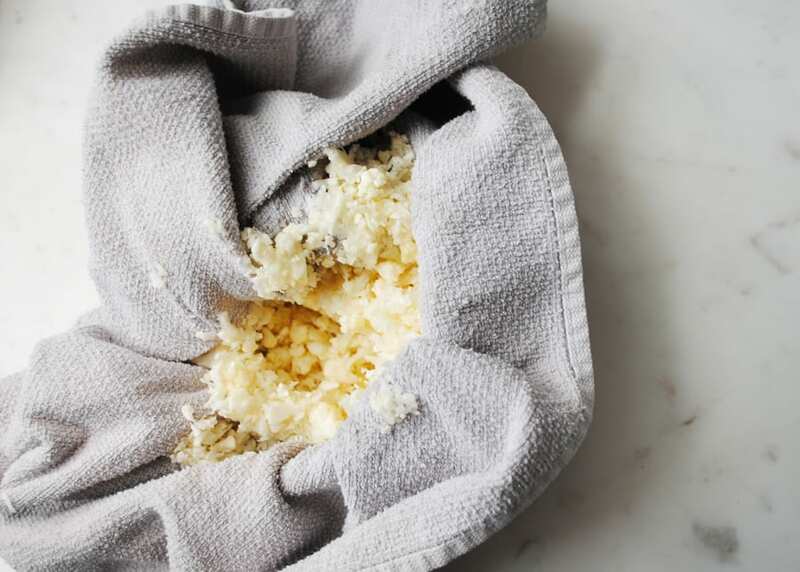 Then used a kitchen towel to squeeze out the excess moisture before sauteing the cauliflower. I’ve taste tested homemade cauliflower rice, frozen cauliflower rice, and the cauliflower rice you can buy in the produce section at the grocery store. The homemade version is the best by far, it provides the best texture, but I was shocked actually that the frozen variety I found to be much better than the one you can buy from the produce section already riced up for you. 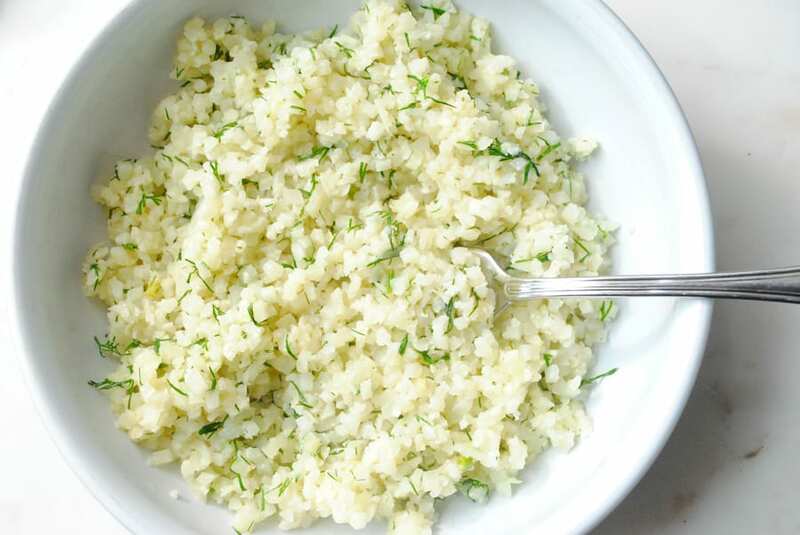 So I recommend either using homemade or frozen riced cauliflower. 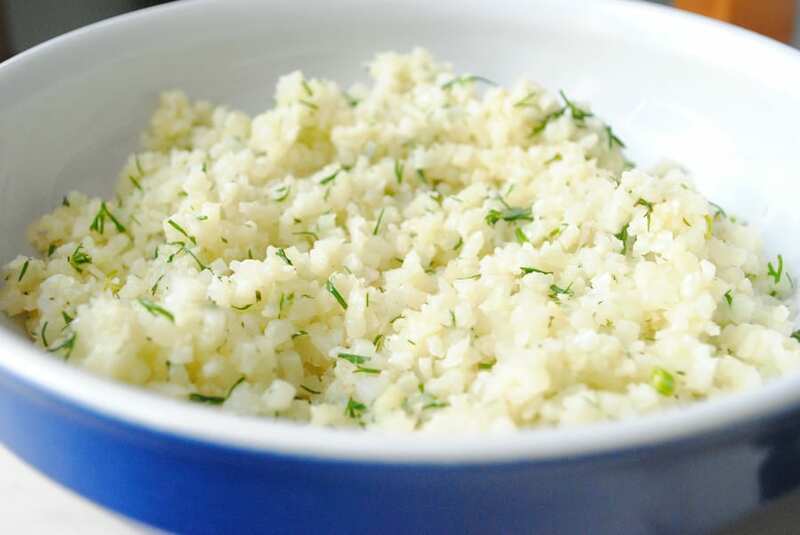 It doesn’t take long to make the cauliflower rice at all, but if using the frozen this side dish comes together very quickly in under 8 minutes. Perfect for a busy weeknight when you just need to get dinner on the table. Give it a try with chicken or fish. It’s great with grilled or roasted shrimp too. In a non stick skillet heat the olive oil over medium heat until shimmering. Add in the cauliflower rice either fresh or frozen. Saute the rice for 4-6 minutes until tender and warm. Add in the dill, lemon juice, and salt. Stir to combine. Pull off the heat and serve warm. If serving 4 adults I would double the recipe.